Look at the 2-letter country codes in these two VERY malicious emails. The easiest way to determine what country is represented by any 2-letter country code is to ask Google! Some are obvious, like “.ru” = Russia, while others are not. For example “.de” = Deutschland = Germany. This first email was sent to a TDS reader from a computer in Brazil and contained a link to a website in Romania! The second email contained a link to a website in Kazakhstan! You’ll see many more country codes in other scams of this week’s newsletter. 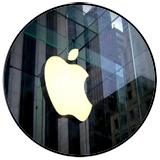 Phish NETS: Apple Users Targeted Again! TDS readers reported these very similar Apple phishing scams to us just a few days apart. Both phishing scams appear to be receipts for gaming software purchased using the credit card in your Apple account. These emails would likely get an immediate response of “I didn’t buy that!” and lead you to click the attached receipt. Both receipts contain links to cancel your order but first you’ll have to sign into your Apple account through a site that is really a phishing scam! Though this first email says it is from “Apple Store,” the domain name after the “@” symbol is recordelay-information[.]com. “Thank you for submitting your payment. Your payment has been submitted for processing.” Were you to open the attached “Apple Store Receipt” (pdf file) you would find links to “Report a problem” with this order or “Cancel and Manage Subscriptions.” But these links do not point to apple.com. They point to the domain paymentsupport-appid1[.]com. Missing from this receipt is ANY information connecting YOU to this order! This phishing domain was registered less than three weeks earlier in Canada by a proxy service and is being hosted on a webserver in Hessen, Germany. Similarly, the second email states that it is from Apple Support but the domain after the “@” symbol is create-an-automation01[.]com. “Dear Customer, Your Apple ID has been used for In-App Purchases Need for Speed No Limits into the App Store from a web browser.” Once again, this phishing email has an attachment that is made to look like an Apple Store receipt. It contains several links but none of them point to Apple.com. Instead they point to a website named s[. ]id, as you can see below. At least one service we checked recognizes that the s[. ]id link is malicious. 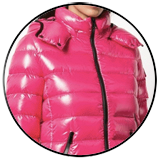 When we search for “Moncler Brady Puffer Jacket” across the Internet, we find prices ranging from $600 to $1200. These are not cheap coats! So imagine someone’s excitement to get the email below with the subject line “Up to 75% OFF” these coats. It’s important to point out that the first coat listed in the email says “save up to 80% off.” Apparently, the sender is not sure how much of a discount they want to give. The email came from an oddball domain oalxt[.]com. This domain was registered in China in June, 2018 and Google can’t find anything about it. All links in this clickbait point to the website zkig[.]cn. “.cn” is the 2-letter country code for China. So perhaps you are thinking that these coats are knock-offs and you might order one anyway from China. Think again…. The Zulu URL Risk Analyzer found the link in this email to be 100% malicious. Ouch! Stick to Neiman Marcus or Bergdorf Goodman. Digging into this email we see that it was sent from the domain navidpay[.]com. Navidpay[. ]com was registered on October 23, 2018 through a private proxy service and Google can’t find out anything about this domain. Both of these discoveries make this email suspicious. All links point to a file located on a website called albwed[.]com. Similarly, albwed[. ]com was registered recently (November 19, 2018) through a private proxy service in Panama. At this point, we smelled a rat. None of this added up to represent any legitimate “breaking news” newsletter. So we turned to tools that can analyze whether or not the link in this email was safe to click. And clearly it is not! The Zulu URL Risk Analyzer found malware waiting for us at the end of that link. So, once again, dear reader… Don’t believe everything you see on the Internet, in your inbox, or on your smartphone! Deception is simply too easy and the cybercriminals who target us are creative and inventive. Oh my God girl, is that you?!? I can’t believe it!!! It’s been more like 10-12 years!! How are you? Jeff is not going to believe I heard from you!! Did you know we got married? Gotta go now, but more later fur sure! This next email came from a server in Germany (see the 2-letter country code “.de” = Deutschland) with the subject line “Messenger notice.” It contained the recipients email address SEVEN times, as if that will inform her how very important and legitimate this clickbait is. We wondered about the website listed in the link and to which all the links pointed, including “Respond to message.” Google told us that this website was likely hacked. Big surprise…not! Here’s another new bit of malicious clickbait waiting to infect your computer. “You now have all your data transferred” says an email from “Edwina Davenport Shop Support” from the email address netsytse_1972 “@” bigblue-usa[.]com. (See how similar it is to the first email at the top of this newsletter.) The only Edwina Davenport we find is the leading supersleuth in a murder mystery series called “Murder Flies the Coop” (by a UK Author.) And “netsytse” means “website” in a West Germanic language spoken mostly in the province of Friesland (Fryslân) in the north of the Netherlands. And the domain bigblue-usa[. ]com is a used computer service in Syosset, New York. Does any of this feel right to you? The links in this email pointed to a website named trit[. 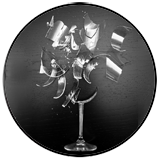 ]by, which is hosted on a server in Belarus, Eastern Europe. (2-letter country code “.by”) And, as Google easily informed us, this brit[. ]by website has been hacked. Now delete! Before leaving you this week, we wanted to share an email we received from a Nigerian 419-scammer. We thought his effort was really lame and very funny, but then we have a Geeky sense of humor! We especially enjoyed the scammer’s choice of test questions and answers. Enjoy….